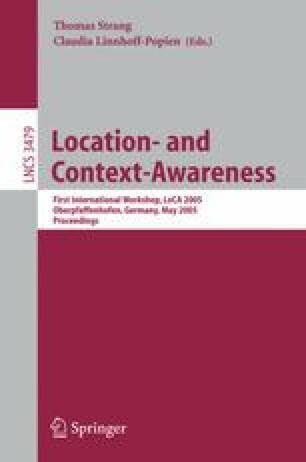 Context information is used by pervasive networking and context-aware programs to adapt intelligently to different environments and user tasks. As the context information is potentially sensitive, it is often necessary to provide privacy protection mechanisms for users. These mechanisms are intended to prevent breaches of user privacy through unauthorised context disclosure. To be effective, such mechanisms should not only support user specified context disclosure rules, but also the disclosure of context at different granularities. In this paper we describe a new obfuscation mechanism that can adjust the granularity of different types of context information to meet disclosure requirements stated by the owner of the context information. These requirements are specified using a preference model we developed previously and have since extended to provide granularity control. The obfuscation process is supported by our novel use of ontological descriptions that capture the granularity relationship between instances of an object type. The work reported in this paper has been funded in part by the Co-operative Research Centre for Enterprise Distributed Systems Technology (DSTC) through the Australian Federal Government’s CRC Programme (Department of Education, Science, and Training).